We have three games once again this week. Seem like we are going to have three games every week at this rate. Anyways let's get the ball rolling. The first game we have this week is Strikers 1945. 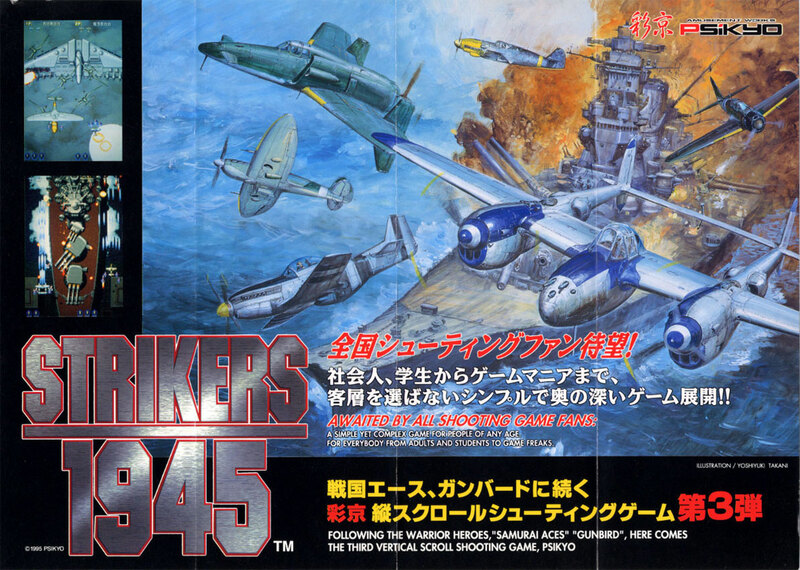 Strikers 1945 is brought to you by Psikyo and was released in 1995. 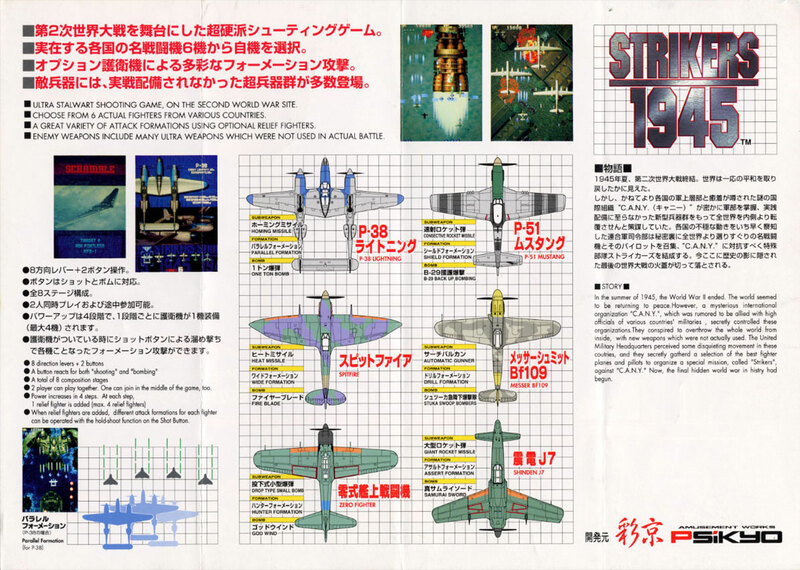 Strikers 1945 is a vertical scrolling flying shooter which is set in the year (yep you guessed it) 1945. 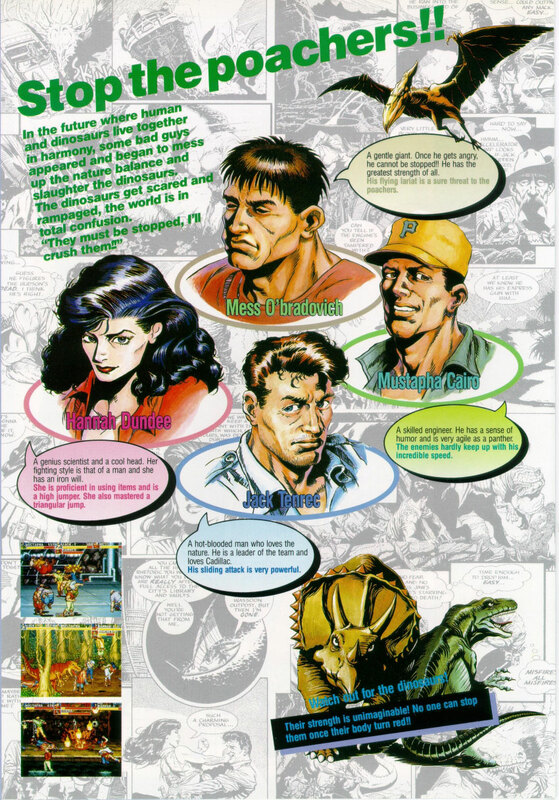 You are a pilot and are part of a team called the Strikers and your mission is to destroy the evil organization "C.A.N.Y.". "C.A.N.Y." was formed soon after WWII ended and is rumored to have ties to high-ranking military officers from around the world. "C.A.N.Y." has been developing new secret weapons that the world has not seen the likes of. You have six planes to choose from two American the P-38 Lightning and P-51 Mustang, two Japanese the A6M Zero and Kyushu J7W1 Shinden, one British the Supermarine Spitfire and one German the Messerschmitt Bf 109. Each plane has a unique bomb and also has relief fighters with unique attacks and formations. You acquire relief fighters via powers-ups found throughout the stages each players is only able to have four relief fighters at one time. The game consists of eight stages taking you around the world and into space. Each stage consists of fighting off waves of ground and air enemies and a boss fight. The boss fights are broken up into segments in which you need to destroy something to get closer to the destruction of the boss. Once you have defeated the final boss you are sent back to the start but set on super hard difficulty setting. If you are able to defeat the final boss again you will see the "The End" screen and taken to the Hi-Score table. 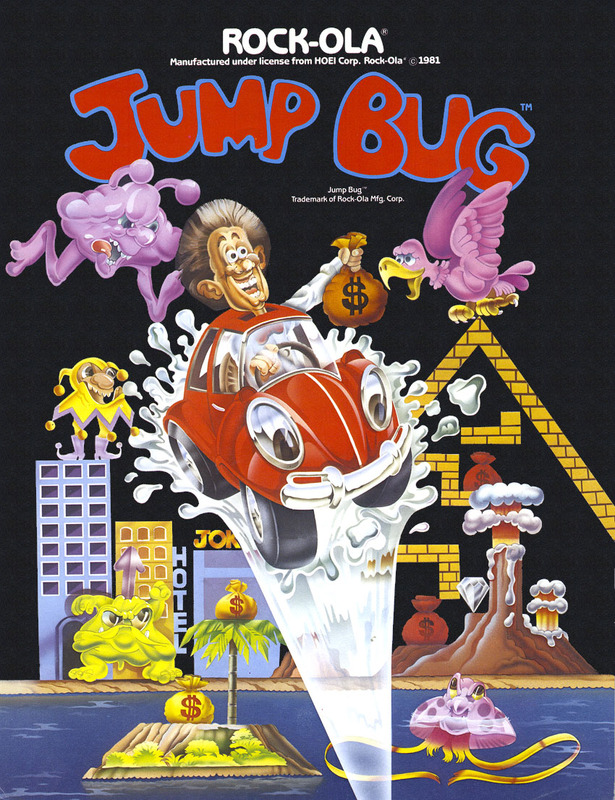 Our second game is Jump Bug. 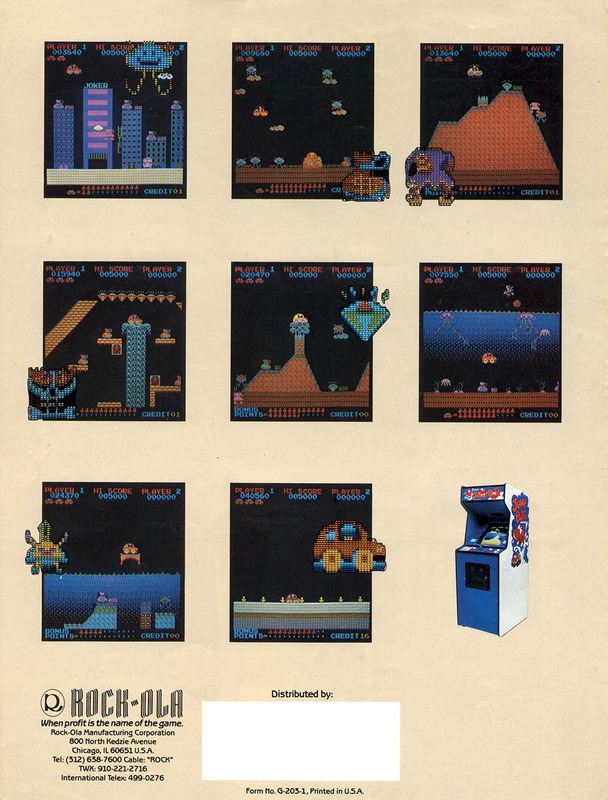 Jump Bug was released in 1981 by Rock-ola. Jump Bug is a very strange platform-shooter game. You are the driver of a car with the ability to jump. While you are jumping around in your car you must collect bags of money and gems without getting hit. You are able to control the height of the jumps and the speed of decent as well. Your car is also equipped with a weapon for you to shoot enemies in your way for more points. The game has eight scenes for you to bounce your way through and they are the city, the plains, the volcanoes, in a pyramid, the volcanoes (again), the sea, the sky and the finish. Once you have made your way to the finish you are sent back to the first scene until you are out of lives. 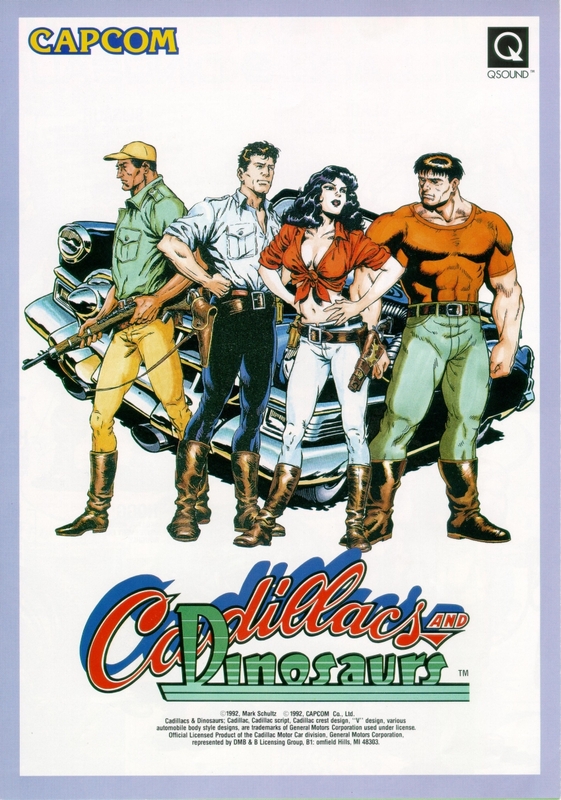 And the third and last game this week is Cadillacs and Dinosaurs. 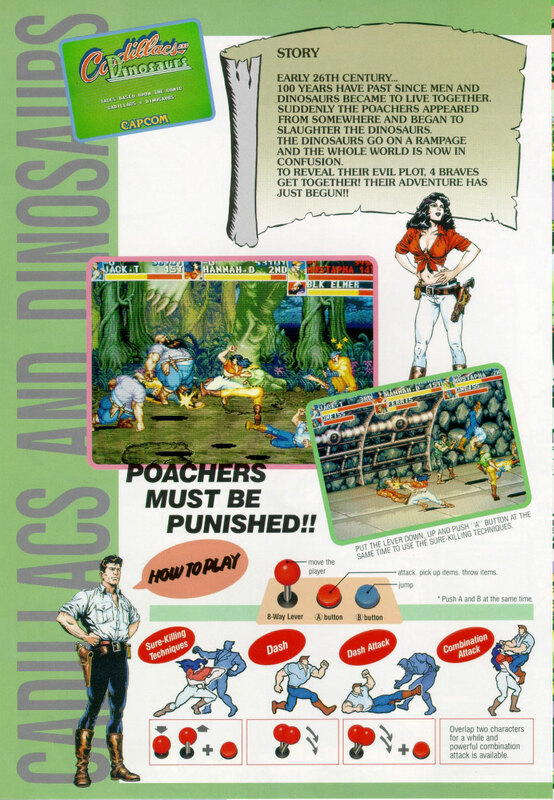 Cadillacs and Dinosaurs was brought to us by Capcom in 1993. 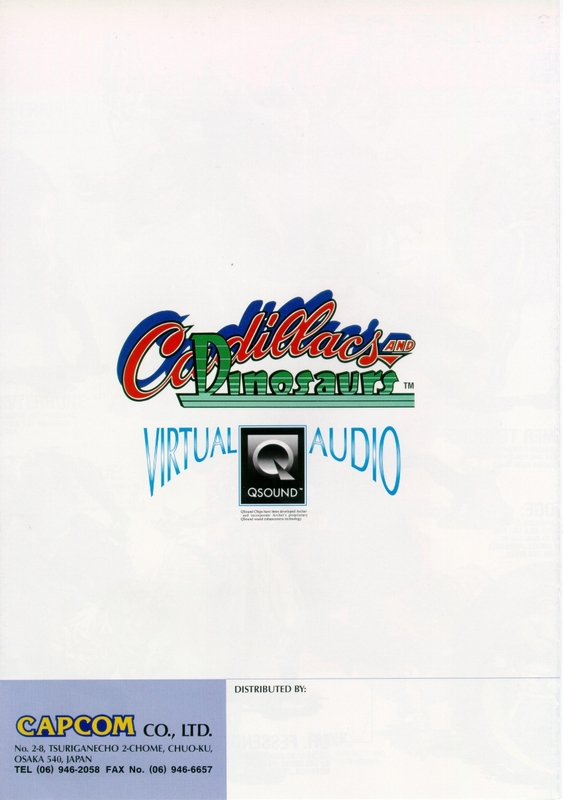 Cadillacs and Dinosaurs is a 2.5D side-scrolling beat 'em up based on the comic Xenozoic Tales and is also tie-in to the cartoon series Cadillacs and Dinosaurs. The game is set in a post-apocalyptic future in which Earth has been ravaged by pollution and natural disasters. This forced humans to live underground for about six hundred year during this time the world was reclaimed once extinct animals namely dinosaurs. The dinosaurs normally do not attack humans but due to poachers they are now going on rampages. You and your friends have given themselves the task of ridding the world of the black market poachers that are killing the dinosaurs. But you find poaching is not the worst thing happening. 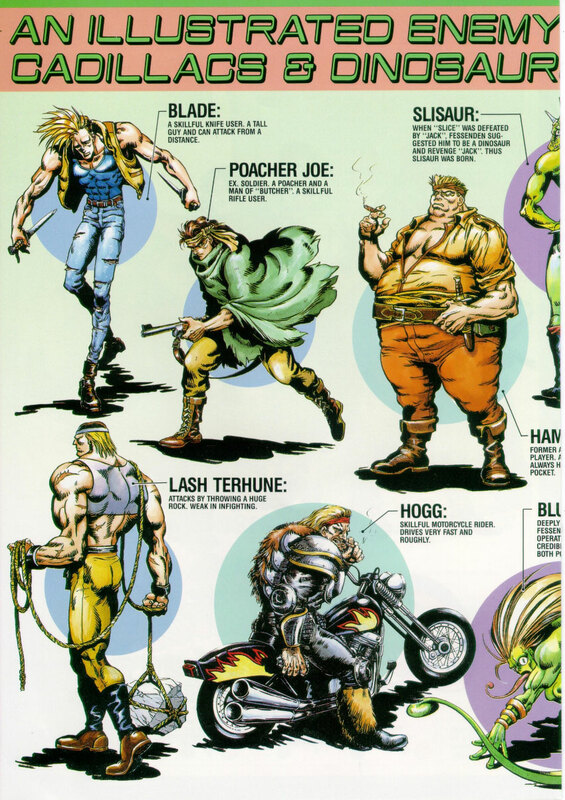 You are able to choose from four playable characters their names are Jack Tenrec, Hannah Dundee, Mustapha Cairo and Mess O'Bradovich. 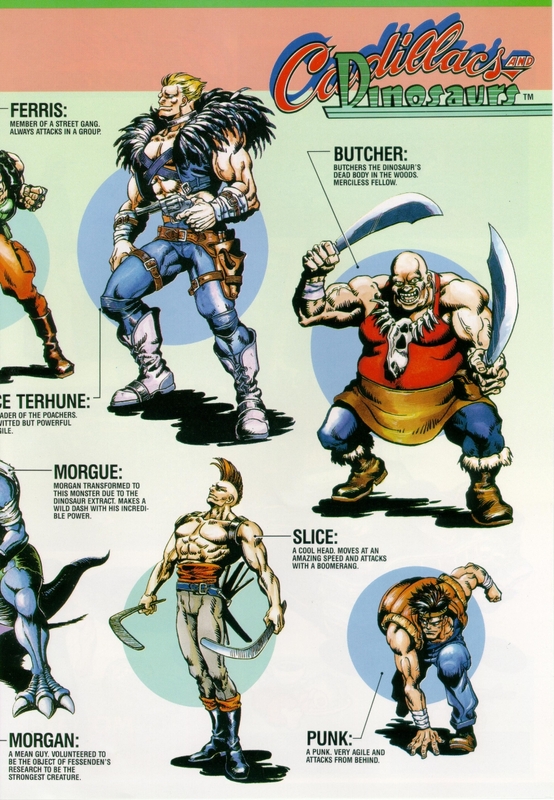 Each character has unique stats, abilities and attacks. Throughout each level you will find pick up items some will give you points, some will give you back some health and weapons of course. There are lots of weapons to find firearms ranging from pistols to bazookas, Throwing weapons ranging from stones to TNT and melee weapons ranging from rods to butchery knives. 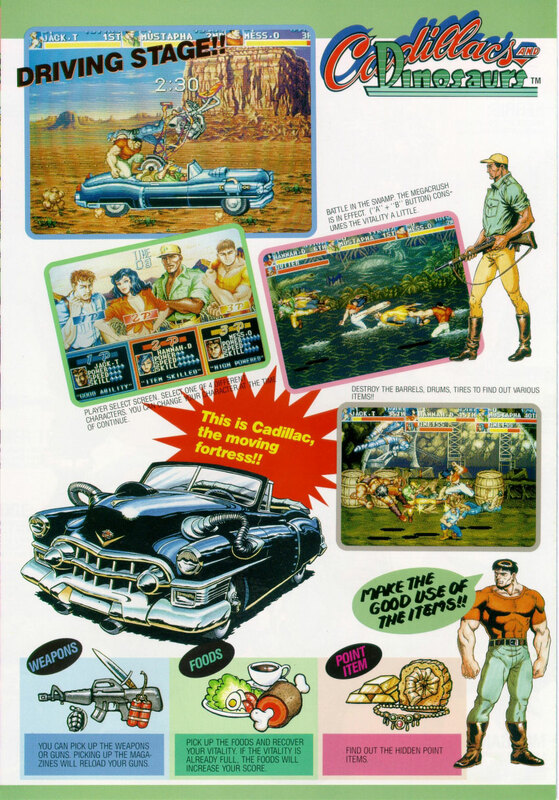 Cadillacs and Dinosaurs has eight stages City In The Sea, Swamp Forest, Hell Road, Jack's Garage, Village Of Flame, Jungle and Mine, The Vault and Deep Deep Down. Each stage comes with harder minions to battle on you way to the bosses. 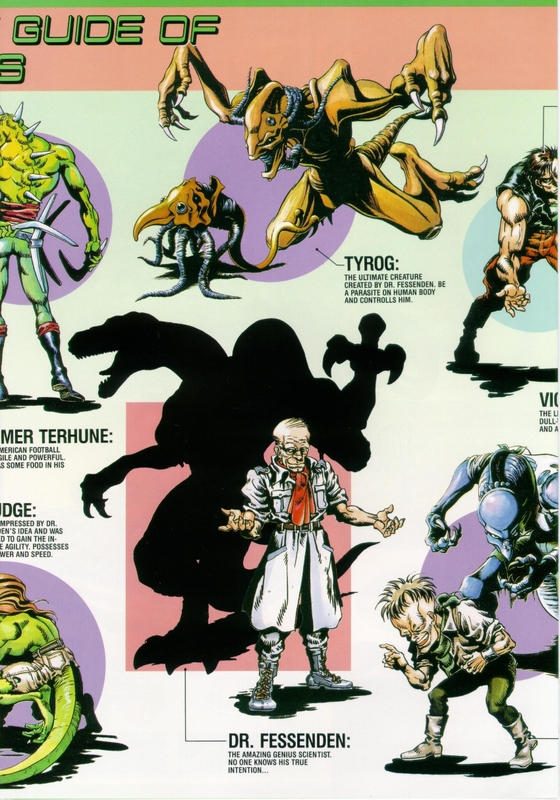 You will also run into previous end stage bosses as mini-bosses sometimes showing up in packs. When you have defeated the final boss the game ends it does not restart on a higher difficulty setting.